The much anticipated Girls Aloud special announcement was made today at 12pm in a press conference which was streamed live on youtube. Not surprisingly, the girls announced that they are releasing a best of album, Ten, in celebration of their 10 year anniversary. Ten has 18 tracks, 4 of which are new (On The Metro, Beautiful ‘Cause You Love Me and ‘Every Now And Then’). Nick Grimshaw was a great moderator. Taking questions from both the assembled press and 5 lucky fans, via Skype. Grimshaw didn’t only keep the proceedings moving along but also added much wit. Kimberley’s highlight is “when we won the Brit Award.” The rest of the girls agreed that that was a big moment for the band. Something New, the new video and first single from Ten, was also released today. This is Girls Aloud’s first music video since 2009 and I have to say I love it! Girls Aloud, it’s great to have you back! Something New will be released as The Children in Need single on Novemeber 18, and Ten will be out at the end of November. Ten – The Hits tour hits the Odyssey Arena, Belfast, on March 13 and the O2 Dublin on March 16. Tickets go on sale at 9am next Friday. I have no doubt they will be sold out in minutes! 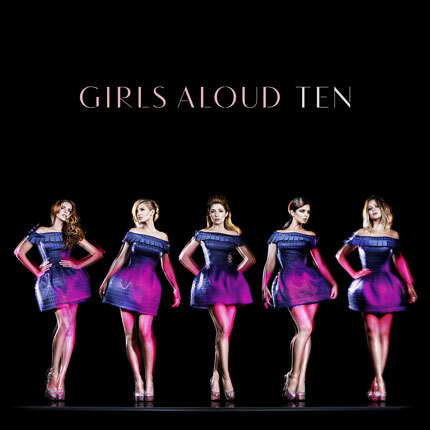 This entry was posted in Music News and tagged Cheryl Cole, Girls Aloud, Kimberley Walsh, Nadine Coyle, Nicola Roberts, Sarah Harding, Sarina Bellissimo, Something New, Ten The Hits, The Bellissimo Files. Bookmark the permalink.